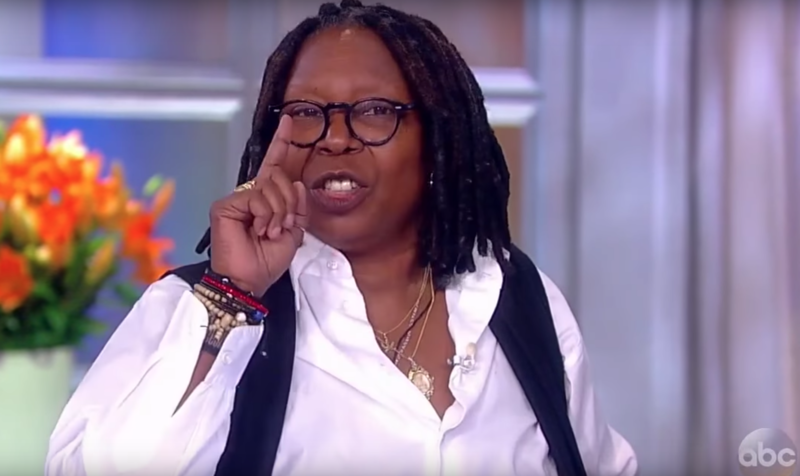 Whoopi Goldberg, co-host of ABC’s “The View”, came out in full force against three UCLA basketball players who were caught shoplifting by Chinese police. “You embarrassed your families, you embarrassed the country, and you embarrassed the president,” Goldberg said on Nov. 16. The three players, Cody Riley, LiAngelo Ball, and Jalen Hill, were released and sent back to the United States after President Donald Trump personally intervened and took the issue up with Chinese leader Xi Jinping. The three students, all freshmen, had been detained by Chinese police on Nov. 7 for allegedly stealing sunglasses from a Louis Vuitton store in Hangzhou. “It is the stupidest thing a young person has done,” Goldberg said. Goldberg also said that the UCLA players should be punished for their actions. However, she doesn’t believe they should be thrown out of school. “You can embarrass the hell out of them. What you all did is as dumb as dumb can be,” she said. Other hosts on the show agreed with Goldberg. “They caused an international incident where the president had to get involved and call the president of another country. 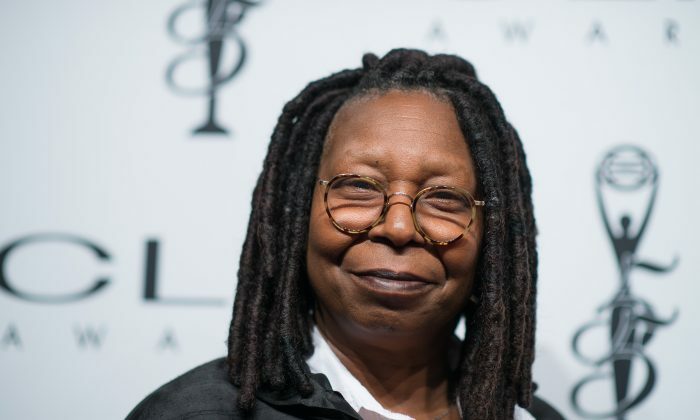 I mean, this is really significant,” said co-host Sunny Hostin. The father of one of the players, LaVar Ball, sparked a controversy by refusing to thank the president for getting his son freed, and instead questioned the president’s involvement. The players themselves had each thanked Trump during a press conference on their return from China. They also admitted that they attempted to shoplift while in China. “I would like to thank President Trump and the United States government for the help that they’ve provided as well,” said LiAngelo Ball, son of LaVar Ball. The three players have been suspended indefinitely from the basketball team following the incident. Trump also suggested he should have waited until his next trip to China to help release LiAngelo Ball. “Shoplifting is a very big deal in China, as it should be (5-10 years in jail), but not to father LaVar. Should have gotten his son out during my next trip to China instead. China told them why they were released. Very ungrateful!” Trump wrote in a tweet on Nov. 19. Trump was in China earlier this month as part of a 12-day Asia trip. During the trip, he gained support from leaders in the region against North Korea’s nuclear weapons development. He also told Asian leaders that unfair trade practices would no longer be tolerated, and called for fair and reciprocal trade. If you enjoyed reading this article, support our independent journalism by sharing this article on social media.